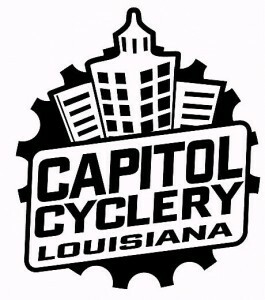 The Baton Rouge Bicycle Club, located in Baton Rouge Louisiana, works collaboratively to encourage and promote bicycling as a way of life and as a safe and enjoyable recreation and transportation option. We see a future when the Baton Rouge area is a place where the infrastructure and culture allows anyone to go anywhere, anytime; safely, confidently, and conveniently by bicycle; when the club exists only to celebrate and appreciate the joy of cycling. To support this, the club organizes a variety of weekly rides both in town and out of town, for all levels from beginning to the experienced. These rides are led by trained, experienced ride leaders. Rides are announced through our social media outlets, i.e. Facebook, club website, and Yahoo Group email and everyone is welcome. We also support local cycling advocacy for the benefit of members and public alike. BRBC representatives meet with local and state politicians, planners, and traffic engineers to help make sure bicycles are included in infrastructure projects. We partner with local nonprofits to include bicycling in their events and share safe riding lessons with the community. The BRBC sponsors several signature events each year including fully supported rides through the Felicianas each Spring and Fall. These scenic rides have routes of varying lengths making them perfect for bicyclists of all ability levels. Plus, there’s always plenty of food afterwards to refuel even the longest ride! Red Bug Hill Is Back! Solo Rider Needs A Good Baton Rouge Welcome!